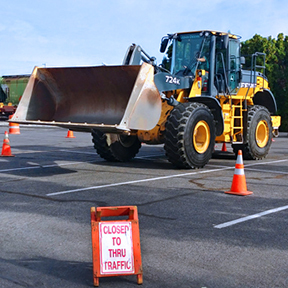 The ROADeo is a chance for participants across the state to test their skills by maneuvering machinery through specific obstacle courses. 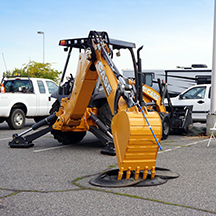 Ususally held during the Fall Conference, this year's event will take place at Seattle PWX Seattle where participants will demonstrate the skills it takes to perform the daily internal operations of the Public Works Departments throughout the state. Participants will also have the opportunity to network with other public agencies on techniques and how to better serve the City, County, or State Agency they represent. Winners of the event then go to compete on at the national level at the Western Snow and Ice Conference. The ROADeo is organized by the Operations & Maintenance Committee. Registration for the ROADeo, held in October, opens usually in August and will be available on our conference website or on site at the Conference Registration Desk. Sponsorship opportunities are also available at the same location.